Felix Ritort Lab | 1st Biology for Physics Conference: Is there new Physics in Living Matter? Is there new Physics in Living Matter? 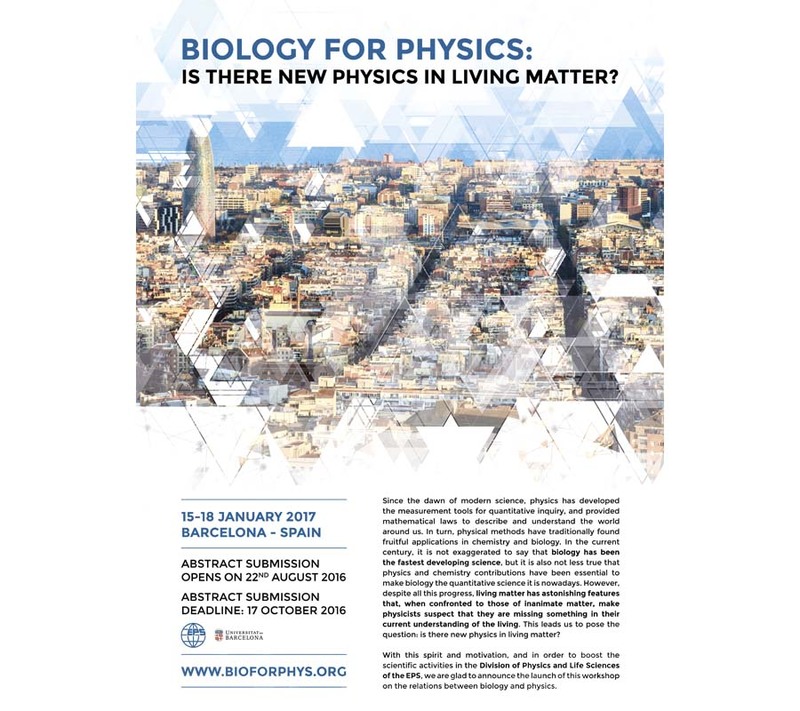 The Division of Physics for Life Sciences from the European Physical Society (EPS) will organise the conference entitled “Biology for Physics: Is there new physics in living matter?” next January in Barcelona. The workshop aims to bring about 25 prominent scientists who have been working over the past years on several biologically motivated problems, have made outstanding contributions in their respective fields and for whom physics is an everyday source of inspiration to better understand biology.